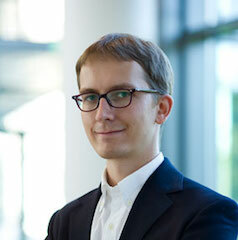 ​Lucas Stanczyk has been assistant professor of political science and affiliated faculty of philosophy at MIT. In 2016-17 he will be a research fellow at Brown University, and in 2017 he will join the philosophy department at Harvard. Lucas will present material from a book manuscript titled From Each: A Theory of Productive Justice. In this manuscript, Lucas develops a framework for thinking about the rights and duties of liberal citizenship in an integrated way. He then deploys this framework to expose injustices in how modern societies reproduce themselves. These injustices arise when, thanks to the design of safety nets, ordinary citizens are made to work substantially more than what a liberal society at an advanced stage of economic development could reasonably expect. Conversely, productive injustices arise when the basic structure of the economy effectively lets the wealthy off the hook in myriad ways. To allow us to appreciate these injustices, the book develops tools for thinking about the kind of labor contribution that a liberal society can reasonably demand from each person, and it uses these tools to describe the way that actual societies routinely go overboard in their expectations for ordinary workers while being far too lenient on the wealthy. Ruth Yeoman is a Research Fellow at Kellogg College and the Said Business School, University of Oxford, where she manages a range of research projects, including Ownership, Leadership and Meaningful Work funded by the British Academy/Leverhulme. Forthcoming publications include: The Oxford Handbook of Meaningful Work (2018) and a Journal of Management Studies Special Issue on Meaningful Work (2018). Ruth will address the following questions in relation to work: What is Work (including meaningful work)? Why is meaningful work important? How can we organize Work to promote meaningfulness? Is there a right to meaningful work? She will draw upon her book Meaningful Work and Workplace Democracy: a philosophy of work and a politics of meaningfulness, and other published material, such “Conceptualising Meaningful Work as a Fundamental Human Need” (Journal of Business Ethics). 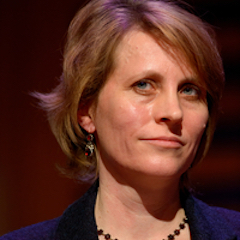 Ruth will examine the limits of liberal political theory when seeking justifications for the deliberate design of normatively desirable work, and will draw upon moral philosophy, care ethics and recognition theory to describe the value of meaningfulness, and how to structure work for meaningfulness. She will also include research on meaningful work from organization studies and psychology. In so doing, she will claim that the value of meaningfulness applies not only to the individual experience of work, but also to social and economic units such as cities and supply chains.